COLLEGE STATION, Texas — Karissa Schweizer and Edward Cheserek showed they are the two best long-distance runners in the NCAA as they convincingly won the 5,000m finals at the 2017 NCAA Indoor Track and Field Championships Friday night at Texas A&M. For Schweizer, the NCAA cross country champion, it was her first NCAA track title. For King Cheserek, it was his 14th NCAA crown. We recap both races below with analysis and post-race interviews. After the first 200m, Anna Rohrer of Notre Dame went to the front and kept pushing the pace. 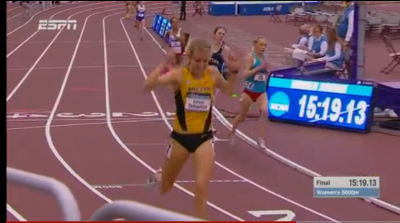 She was quickly followed by Erin Finn of Michigan and they soon opened up a slight gap on the field. At 1600 (4:53.35), there was a gap to Tessa Barrett of Penn State in third and Schweizer, who was in 4th, more than two seconds back of Rohrer. Schweizer soon decided to close the gap and after the next two laps was in the slipstream of Rohrer and Finn. Those three would continue to pull away from the field. The pace only slowed marginally the second 1600 (9:50.54 at 3200) and the front three remained Rohrer, Finn and Schweizer single-file with Rohrer leading. They remained exactly like that until just under laps to go when Schweizer decided it was time to move to the front. By the time 400m remained she had the lead over Rohrer. Schweizer really pushed the next lap running 33.43 (the first time anyone in the field except for Schweizer had run faster than sub-36 the entire race) and it blew open the race. Rohrer and Finn had nothing left and Schweizer had a nearly 5-second lead at the bell. Schweizer still had a lot in reserve and closed with a 32.22 to win in 15:19.14 , 8 seconds up on Finn, who closed with a 35.49 to pass Rohrer and finish second in 15:27.36. Rohrer just hung on the final two laps to take 3rd in 15:29.83, well ahead of Allie Buchalski of Furman in 4th in 15:41.69. Rohrer and Finn had tried to run away from Schweizer but that clearly wasn’t going to happen today. 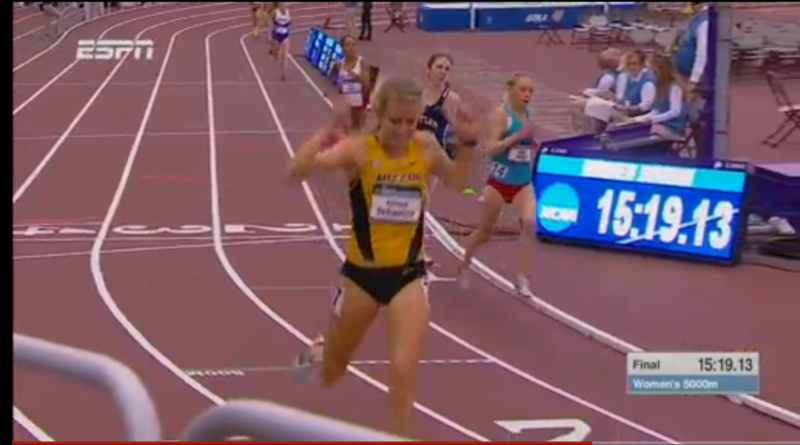 Schweizer showed she is the class of the NCAA. During the race, Schweizer’s coach Marc Burns continually told his pupil to relax and be patient, and she followed his advice, waiting until just over 400 to go before launching into her savage kick, not dissimilar to the way she won NCAA XC over the same two women (though she waited longer to kick in XC). Schweizer is clearly a megatalent and her 15:19 tonight was sixth all-time indoors among NCAA women — despite the fact that her entire eight-second margin of victory came in the final 400. 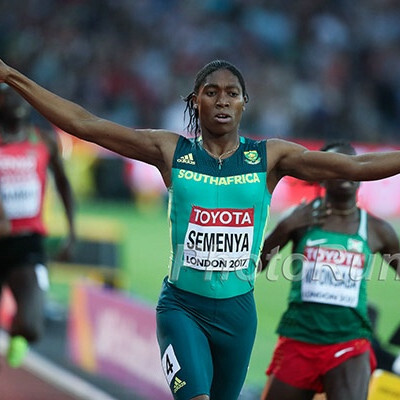 The ease with which she ran tonight and the fact that she closed the final 400 in 66.65 suggests that she is capable of even faster outdoors, but first she has tomorrow’s 3000 final to worry about. Finn acknowledged post-race how she is the “bridesmaid and never the bride.” That is definitely the case as going back to high school this is the 8th national championship race where she has finished runner-up. At the NCAA level, she did it today, at NCAA cross country in the fall, and in the NCAA 3k and 5k last year indoors. 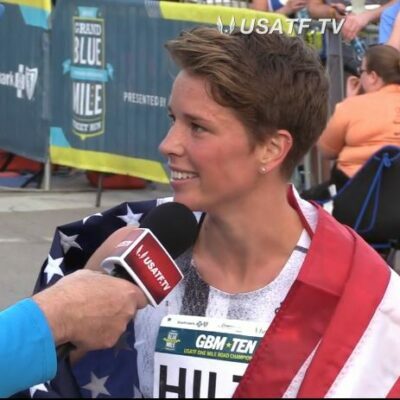 She said she gets inspiration from another Michigan-based athlete, US Olympic marathoner Desi Linden, who often doesn’t win things but has had a tremendous career (and nearly won the Boston Marathon in 2011). Rohrer knew that her kick was not her strong suit and that her best chance at the win was to push the pace. Schweizer and Finn were better tonight, but Rohrer can hang her head high knowing she did all she could, running a PR of 15:29.83. 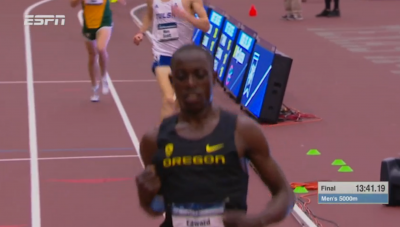 Edward Cheserek is the king of NCAA long distance running and he showed it once again tonight. After a modest opening 600 (1:43.7), Erik Peterson of Butler went to the front and began to push the pace. He led at 800 (2:17.2) , 1600 (4:29.1) and 3200 (8:57.60). He’d lead for 2 more laps when Ole Miss’s MJ Erb took over the lead. King Cheserek was stalking the leaders and decided to take the lead with 3 laps to go. Marc Scott of Tulsa was the only guy who really responded and stayed close to Cheserek. Cheserek unleashed a 26.83 from 400 to 200 and Scott tried to respond with a 27.43. Cheserek kept blasting around to the backstretch on the final lap, looking back to see how much of a lead he had. Around the final turn, he realized NCAA title #14 was his, which he earned in 13:41.20 thanks to a 4:09.79 final 1600. Scott was second in 13:43.83 and Amon Terer of Campbell 3rd in 13:47.01 with John Dressel of Colorado coming up to get 4th. Cheserek slipped up at NCAA cross country this fall, losing the NCAA XC champs for the only time in his four-year career, but tonight he was back to his winning ways and in dominant fashion. Cheserek is known for his finishing speed and he unleashed it. He made a 26.83 200m look fairly composed. Cheserek is so good that many people assumed he would try and pull off the never-done-before NCAA quadruple (mile, 3000, 5000m and DMR). 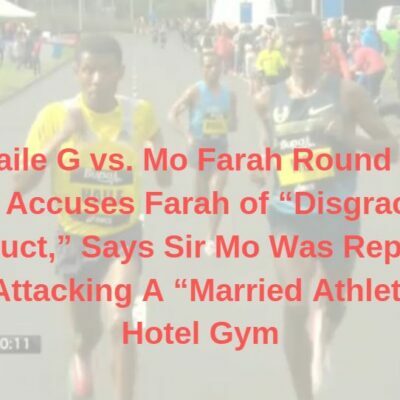 He spoke to the media (video below) after the 5000m (15 minutes before the DMR final) and said he was going to talk to coach Andy Powell about running the DMR, but coach Powell told us he never considered running Cheserek in the DMR. 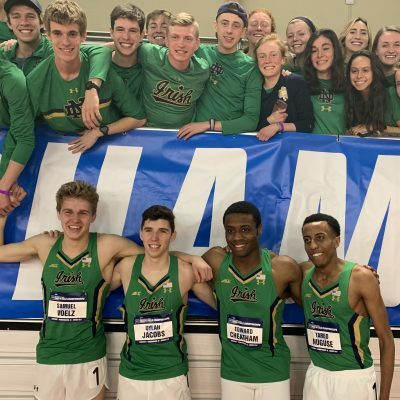 Track fans may have been a little disappointed that the King didn’t go for the quadruple, but that is only a testament to Cheserek’s greatness. No athlete has ever pulled off the mile, 5000, 3000 triple which Cheserek will try to complete on Saturday. Cheserek is so good, most fans just assume he will be able to pull that off. Scott tried his best to stick with Cheserek and Scott closed in 56.2 but it was no match for Cheserek. 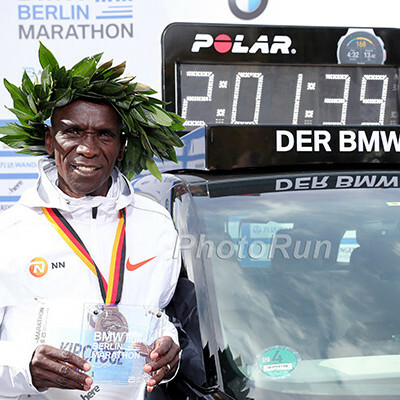 Scott is now 0 for 8 vs Cheserek but this was by far the closest he had been to King Ches (prior to this one the closest he had been was 17 seconds). 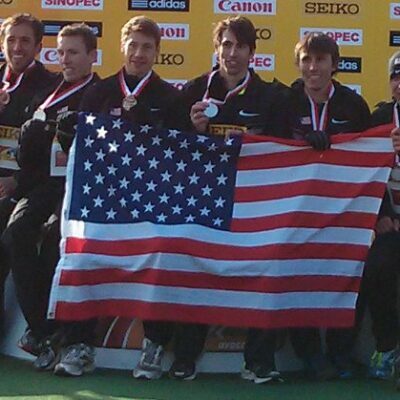 Scott gets another chance to take on Cheserek tomorrow in the 3000 (after Cheserek will have run the mile). Amon Terer of Campbell may be from the distance running mecca of the world — Eldoret, Kenya — but this was a breakout performance for him. Prior to tonight, his best finish at NCAAs was 11th in the 10,000m last year. He then won the South Region in XC this fall and finished 35th at NCAA cross, but this was another level above that. Terer credited his teammates and his wife, who is on the Campbell team. We didn’t ask him who his wife was but someone will figure it out in this thread.